Your Reaction: What did you think of Anastasia? The Royal Ballet perform MacMillan's three-act work exploring memory and identity in the wake of the Russian Revolution. #ROHanastasia What a ballet! What a performance! Natalia pulled out all the stops in that final act! Unbeatable performance to remember. Wish I could see #ROHanastasia as multilayered rather than a mixed bag. Osipova's great & Act 3 is interesting. I'd skip 1 & 2 but for Nela. We need the gentle (some have said dull) opulence of the first two acts of #ROHanastasia so that Act 3 electrifies us as it did tonight! Phew. 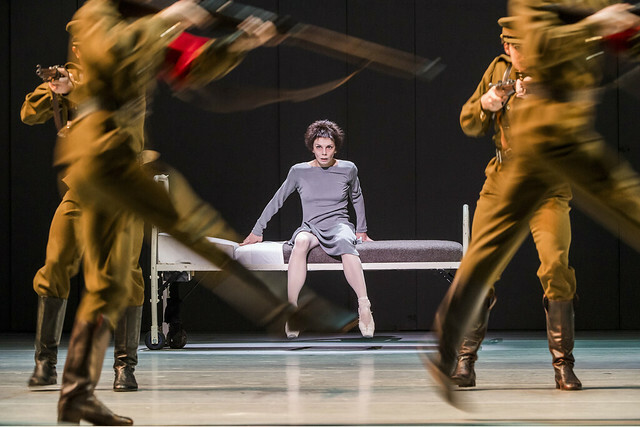 @NatOsipova saves day as Act "3" of #ROHanastasia finally takes off. Ditto Arestis as Tsarina. Just put Act 3 in a triple bill yea?! Brilliant third act of #ROHanastasia. Thanks @nataliavosipova for her great performance tonight. What did you think of Anastasia? Anastasia runs until 12 November 2016. Tickets are still available. The production will be broadcast live to cinemas around the world on 2 November 2016. Find your nearest cinema and sign up to our mailing list. The production is given with generous philanthropic support from Hans and Julia Rausing, Sarah and Lloyd Dorfman, Richard and Delia Baker, The Tsukanov Family Foundation, Simon and Virginia Robertson and The Fonteyn Circle. I cannot understand the criticism about acts 1 and 2. Act 3 on it's own would be out of context and totally meaningless. It is a complete tale - otherwise it would be like just reading the last chapter of a novel. Although I enjoyed last night's performance, I agree with Mark Monahan's view in the TELEGRAPH, where he highlights the fact that Macmillan believed Anna Anderson's claims (that she was the Grand Duchess Anastasia) until he himself died in 1984. Now that we all know, via DNA and further research, that in fact she was NOT Anastasia, renders Acts I and II way less significant, and in my view redundant. Act III would be perfect as a one act ballet performed as part of a triple bill. Osipova's evocative portrayal of a woman torn apart by mental anguish was riveting and I would go again just to see Act III one more time. Thanks to all for all their hard work. MacMillan passed away in 1992, not 1984- from a heart attack backstage during the opening night performance of the revival of Mayerling. Having seen both the one-act version of Anastasia many, many years ago and the full length version of it (both performed brilliantly), I like the full length much more, and fellow ballet goers have said the same. It doesn't matter that Anna/Franziska isn't actually Anastasia- the first 2 acts give context to what her imaginings or confabulations are about. A retired dancer friend said that when he saw Anastasia Act III on its own, it was just a bit of crazy emoting nonsense if you didn't have programme notes to read - one should not have to study a programme to be able to enjoy ballet (a view shared by Massine and Fokine). Having the first 2 acts puts it into context. At least, unlike some movies, MacMillan didn't actually insert an ending where she and Russian royal relations say that she truly is the Grand Duchess after all! When I saw some of the original performances of the ballet the thought that Anna Andersen could be Anastasia was very much alive. The story therefore was very much current, and something that was frequently talked about, with numerous books and articles being written not to forget a film and play. We know the truth now, and therefore the story isn't as well known to audiences seeing it for the first time. For this reason, the three act ballet may make less sense to new audiences, whereas the third act,if performed on its own, would make sense as a compassionate and deeply felt story of a persecuted woman. Having said that I can't wait for Saturday when I'm seeing it, and, I am sure enjoying all three acts! What a stunning performance from Natalia Osipova. It has taken me 24 hours to get over it! Could you please tell us who danced the revolutionary role (danced by Wayne Sleep back in the day)? His performance was superb but the dancer was not listed on the cast list. So glad you enjoyed the performance! The Revolutionary role was danced by our Prix de Lausanne apprentice called Vincenzo Di Primo. There is something of a clamour on online forums for the leading revolutionary to be named on the cast sheet. The dancer taking this role did use to be identified: after all, he does much more than (say) the maid. Please would you pass this request to ballet management? Thank you. I wonder if there'd be quite so much widespread criticism of Acts I and II as being either boring or extraneous if those doing the moaning had ever had the chance to see the 1971 original staging, which was in every respect superior to this current - 1996 - reworking. The first designs by Barry Kay were in each of the acts far more evocative and dramatically effective: Act I was a Chekhovian silver birch forest perched on the edge of a lake, Act II was a silver/white version of Sonnabend's later Swan Lake Act III with spindly gantries, against which the swarming of the black-clad revolutionaries made far more visual impact (Crowley's sets are far too dark), and the third act had not a scrap of scenery at all, except for a sweeping curved screen high up and the bed, all the imaginary characters flowing into and out of empty black space, far better than the current rectilinear grey box with doors. There's also the fact that Act I has been clumsily cut, with the Tsarevitch's fall and Rasputin-led recovery moved from the end of the act - following the effective removal of the fourth movement of Tchaikovsky's symphony - to the second movement, which doesn't have the music to carry the drama, which now lacks a properly celebratory conclusion. The dancing was great, esp. N. Osipova throughout, and also M. Nunez and all three Archduchesses, in what I thought must be a very difficult ballet to pull off successfully. Nice to see a very different ballet. Plenty of drama, very well staged. Loved the 3rd act. The Acting was amazing, Shame the dancing wasn't up to the usual royal ballet standard this afternoon. A few dodgy lifts, jumps by some of the male dancer and I really hope the girl who fell off the side of the stage isn't hurt. But overall a captivating ballet. Having seen both yesterday's matinee and evening performances (29th October), I have to say that of the two Anastasias, Laura surpassed Natalia in dramatic interpretation. Her Act Iii moved me to tears. A wonderful actress and dancer. I was expecting the worst when I saw the 'school production' revolution of the second act but this fooled and the third act was even more astounding because of the contrast. Words fail to describe the brilliance of Natalie Osipova. This was a privilege to see. Macmillan had many failures but Manon, Mayerling and this ballet take you on a helter skelter of emotion-genius. Acts 1, 2 and 3 work brilliantly as a whole. The formal, stately choreography of the corps de ballet in Act 2 reflect the impervious disregard of the Tsar's court refusing to recognise the revolution occurring at the palace gates. Gorgeous and opulent in other parts and yet an undercurrent of threat and fragility supplied through the brooding Rasputin and young prince. Act 3 is such an emotional contrast and so powerful. Totally agree with Stephen Jay-Taylor. The original sets were far superior and gave far more sense of the Russian court. The current designs look, to my mind, a bit cheap and nasty, though I am quite certain they were anything but! Having said that, I had no complaints about the performance and will be seeing it again in 10 days time. But I'll miss those birch trees! Great to see Anastasia again. 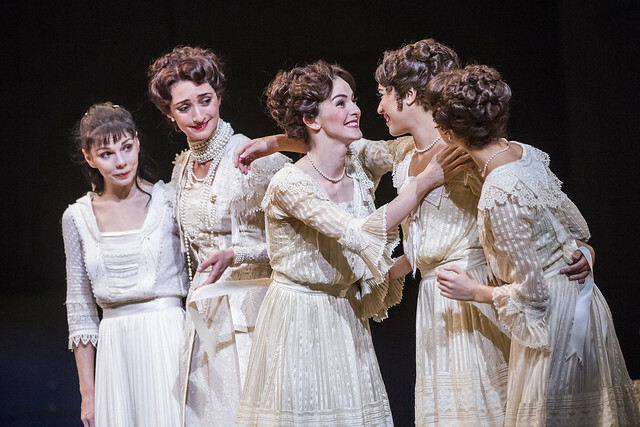 I think it is a wonderful ballet & I am surprised at some of the reviews particularly from the critics. The contrast between the first two acts and Act 3 is I think the whole point and is dramatically very effective. There is some wonderful choreography in the first two acts and Act 1 in particular really conveys a sense of family relationships. I do however agree with some of the comments here that the previous designs were superior. I find the large ship's funnel in Act 1 obtrusive and it seems to take up nearly a third of the stage restricting the space for dancing. On Saturday night I thought some of the cast still had to find their way into their roles but Osipova was excellent and her performance in Act 3 really was thrilling. I am looking forward to returning in 10 days to see the cast with Laura Morera. Thank you for reviving this fascinating and beautiful work. I thought it was simply beautiful, poinant and moving. Natalia was remarkable. The contrast heightened emotions in the third act. I feel so privileged to have seen such a wonderful ballet - wow! Simply blown away. I'm speechless. What a refreshing and brave production. The choreography was outstanding and The Company more than did this ballet justice, but in particular Natalia was mesmerising. I came away wanting more. Could we have the name of the boy who danced the Tsarevich Alexei in the cinema broadcast last night? The cast goes up so quickly it is impossible to catch all the names and on the website only the main characters are named. I would also like the names of the three leading officers. The Tsarevich was played by Rory Toms. The three officers in Act I were Ryoichi Hirano, Valeri Hristov and Alexander Campbell, and in Act II were Luca Acri, Tristan Dyer and Marcelino Sambé. Obviously a fantastic performance but we were just so disappointed in the very poor transmission by our cinema link. The second act was sadly a wobbly blur. Hopefully we will be able to buy the DVD of this performance in the near future. I'm sorry to hear that you experienced a poor transmission of Anastasia - could you please send an email to cinema@roh.org.uk and let us know which cinema you attended and what exactly was affected in the screening (i.e. sound, image etc)? We can then follow up with the venue in question and try and help resolve the issue for future screenings. I can tell you that there are discussions at the moment to release a DVD of Anastasia around Autumn next year, so hopefully you will have the chance to see the production again! So enjoyed seeing Anastasia live on screen, an amazing and emotional performance to watch. Agree with Felicity (above) re cast list on screen and disappointed further details were not included in the digital programme - all those moustaches made it very difficult to identify the dancers! We were mesmerised by this ballet. Natalia Osipova was fabulous in her portrayal and the storytelling was so strong. The dancer who played Rasputin really portrayed the power held over the family. Mariella Nunez was wonderful. I really hope a dvd of the ballet will be available. I would love to see it again. It was a privilege to be at a live performance with these incredible artists. Many many thanks for all the cast info. very much appreciated. I was completely bowled over by Macmillan's brilliant choreography. After reading so many negative reviews, dating back to the first performance in 1971, I couldn't believe my eyes. The only thing I didn't care for were the sets, as they made the stage look cramped in Act I & II and seemed to limit dancing space ( I think I would have preferred the originals) and I'm afraid I can't stand the dim lighting in those acts although I know it's the fashion these days, especially in contemporary works. The performance by the dancers, however, (watched in the cinema in Southern Spain) was absolutely top-notch. I realise that this is not actually the correct section of the web site to be writing on and that there is a separate section just for the cinema transmission where I have read some very pertinent comments, especially the power of Ospipova's performance and the brilliance of Marianela's. I hope it's true that we are finally going to get a DVD of her Giselle. My first viewing of "Anastasia" tomorrow evening, just can't wait and very excited to see the wonderful Laura Morera as Anastasia and the lovely Akane Takada as Mathilde Kschessinska! Saw the Live Cinema, with Osipova., in Nove I'm in my 60's and have always wanted to see the 3 Act Ballet. Yesterday saw for the second time this incredible ballet "live" in Mexico. Me and my mother were absolutely entranced by the music, the choreography, lavish costumes and sets and of course Natalia Osipova, what a masterful dancer! The first acts were so beautifully melancholic and joyful at times and the third act was one of the most powerful and moving things i´ve ever seen. I really, really hope this gets a dvd and blu-ray release (please!! ), we need more of these incredible and inspiring current performances made available for older and younger generations that love ballet and really treasure having something like this in their collections, because they are so meaningful and beautiful to watch, experience and share over and over again. Thank you for these live broadcasts and for sharing with all of us outside the UK your amazing performances! !